John Raybin is the President and General Manager of The Greenwich Stars Basketball Organization (Greenwich, CT). The Greenwich Stars are 3 Time Zero Gravity National Champions and 9 Time National Championship Finalists. The Greenwich Stars have won an incredible 62 Major Spring Tournaments. The Greenwich Stars are the Most Popular and Respected Youth Basketball Organization in the region. Boys and Girls from 38 Towns in New York and Connecticut Play in our Year-Round Basketball Programs. The Greenwich Stars are more than a basketball organization – The Stars are a “community” that is committed to helping young people on and off the court. The basketball organization has a mentoring and leadership program, as well as a basketball program (called “Special Stars”) for children who have Special Needs. John has worked extensively with every Greenwich Stars coach and director. Every coach on the Greenwich Stars is a great ‘teacher” — John and his outstanding professional coaches are committed to helping young people learn and be the best they can possibly be. John believes that all players should have fun, learn and play within the rules. And the rules of the Greenwich Stars include: no swearing, no technical fouls and excellent sportsmanship on and off the court. Winning is the goal every time the Greenwich Stars play a game. John is President of Raybin Management, LLC – an entertainment company that specializes in the management and marketing of fan events, actors and celebrities, and movie memorabilia (props, wardrobe/costumes, autographs and production items). John’s volunteer activities are numerous: John and his coaches volunteer their time on Monday afternoons running basketball clinics at the Waterside School (Stamford, CT). John is Chairman of the Sports Committee at Camp Gan in Greenwich as well as various youth/adult programs at Chabad of Greenwich. He was the founder and head of the Sports Committee and the Performing Arts Committee at Carmel Academy (Greenwich, Connecticut). John was the founder/manager of the basketball, tee-ball and tennis programs for JCC Greenwich. John also manages and runs special needs youth programs for children in Connecticut and New York . 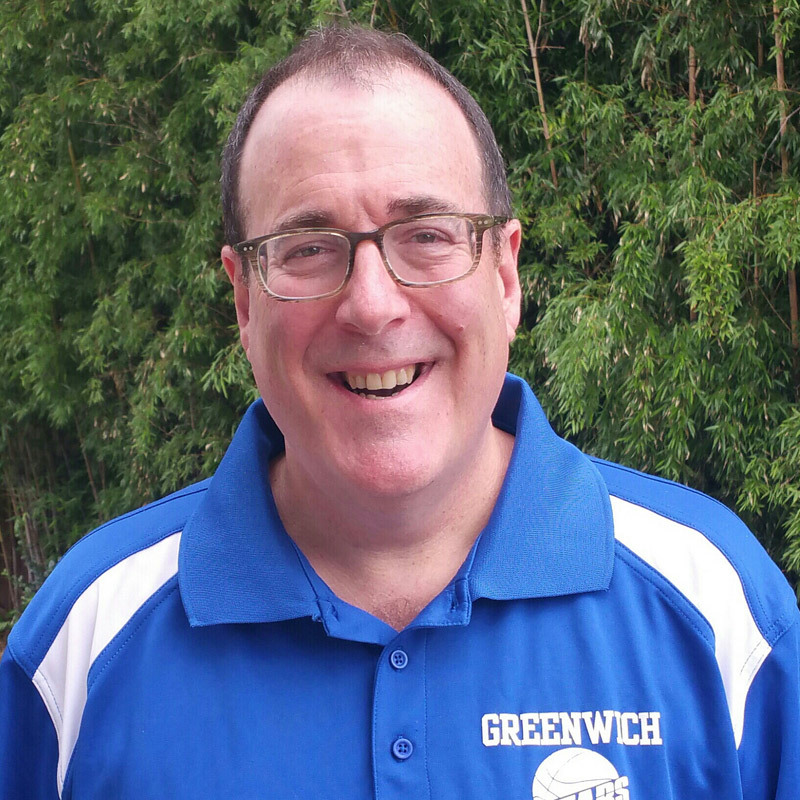 John created the unique Greenwich Stars SPECIAL NEEDS Basketball Program called “SPECIAL STARS.” This outstanding and innovative program is for boys and girls of all ages.